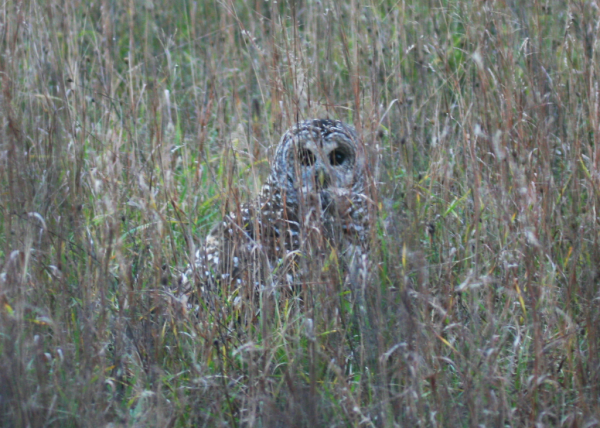 It’s not too often that I get to see a Barred Owl, let alone two of them. 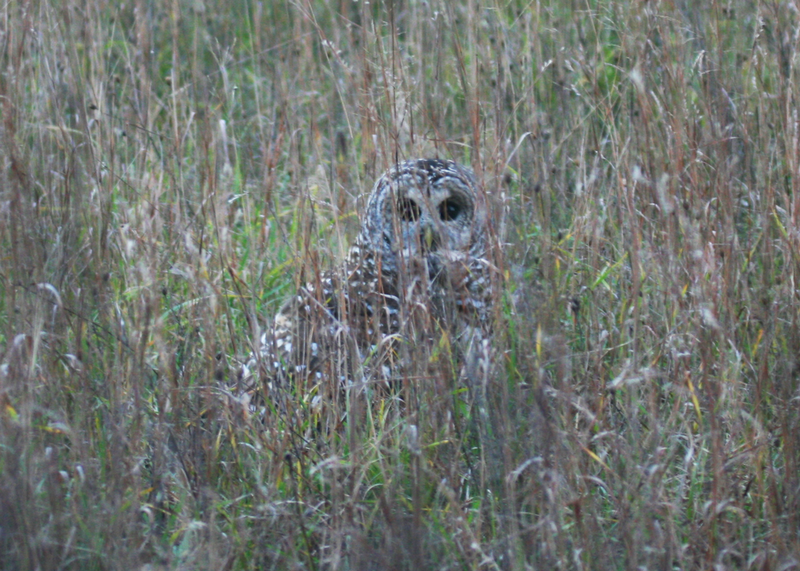 The story is fascinating for sure, but it was over within two minutes and I was fortunate enough to catch this pic of this guy sitting down in the meadow, just in front of my deer blind before dark. One owl called to the other, and one of them flew over my deer blind and tackled the other out of a pine tree. They tussled and tumbled to the ground, making amazing sounds the entire battle. It was over in a few minutes, with one owl bouncing out of the brush and taking a breather out in the open for a minute. After a brief rest, he jumped back up into the pine trees, in pursuit of the other intruder. The chase continued in another part of the forest. 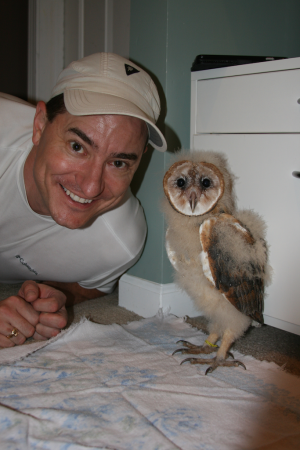 Mystic the Barn Owl is Home! 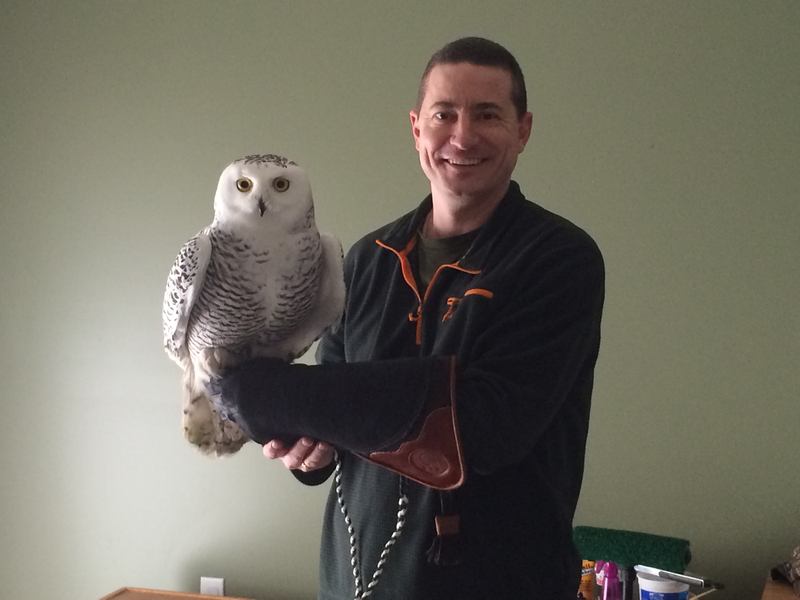 After a long 7-hour journey from Buffalo, New York, Mystic has arrived and is settling into our Falconry Family! We have set up a small little play area in the basement in order for her to interact with the daily noises and activity that tends to go on in the household. About: Barn Owls are one of the most widespread owl species in the world. The Barn Owl can adapt to a variety of open habitats all over the world, with the exception of Antarctica. Barn Owls hunt at night by flying across open grasslands and fields in search of small rodents. 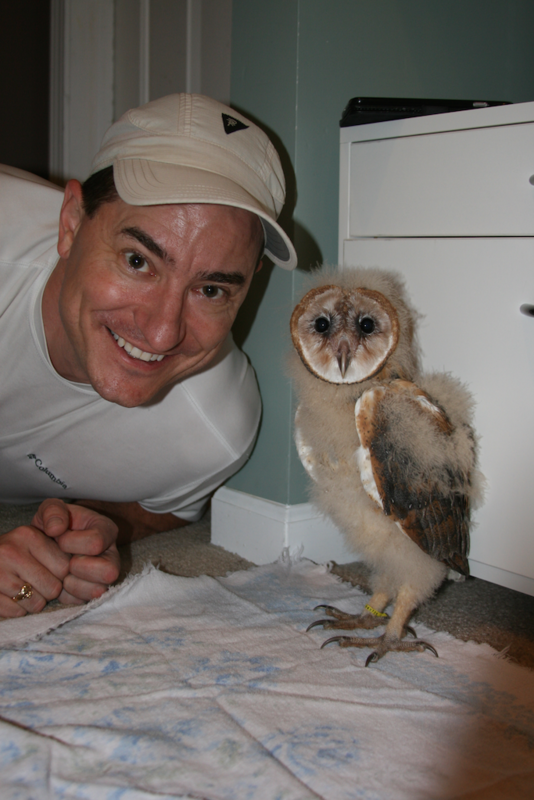 A Barn Owl family can consume over 100,000 mice per year! The male Barn Owl collects prey with his agile flying and stealth techniques, while the slightly larger female Barn Owl stays behind on the nest, usually within a tree cavity, old building, or next box to feed and protect her chicks. 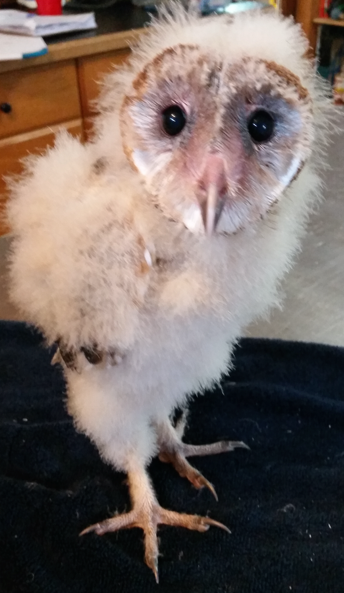 This coming week, we will be adding to our falconry family with an 8-week old Barn Owl (Tyto alba). We are very excited to have ‘Mystic’ join our family and grow in the great sport of falconry. I knew from the moment I first saw her that she was going to break my heart. It wasn’t going to be deliberate or purposeful but I knew it was going to happen. And so the time has come for me to say goodbye to an enchanting princess from the snowy wilderness of the arctic tundra. She spent six whole months with me and my family despite all of the kind efforts and training of falconry, she would not adapt to the life of falconry, nor could I retrain her from the wilderness that she had known all of her life. It was the most difficult falconry decision I’ve had to make, but it was for the best. She has moved on to the next chapter in her life and I hope she will do good things in her next adventures. Good Luck, enchanting white princess. I have a new partner in Falconry today. 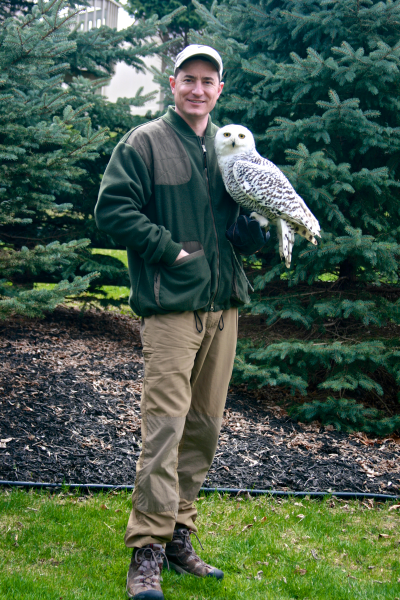 Introducing “Aurora”, an immature Female Snowy Owl. She was captured on December 12, 2014. Trap weight: 2185g. More adventures and updates as they become available.